Have you ever been presented with a food that looks like one thing but tastes like another. At a party you forward your hand to grab a hamburger, but it is only after you sink your teeth into it, that you realize you have been skilfully tricked into a cake. Chefs have been disguising food for a long time, whether to amuse diners or demonstrate artistry. Optical illusion foods are fast becoming popular. I have always been intrigued by this clever art of food, though I never tried cooking any such thing. 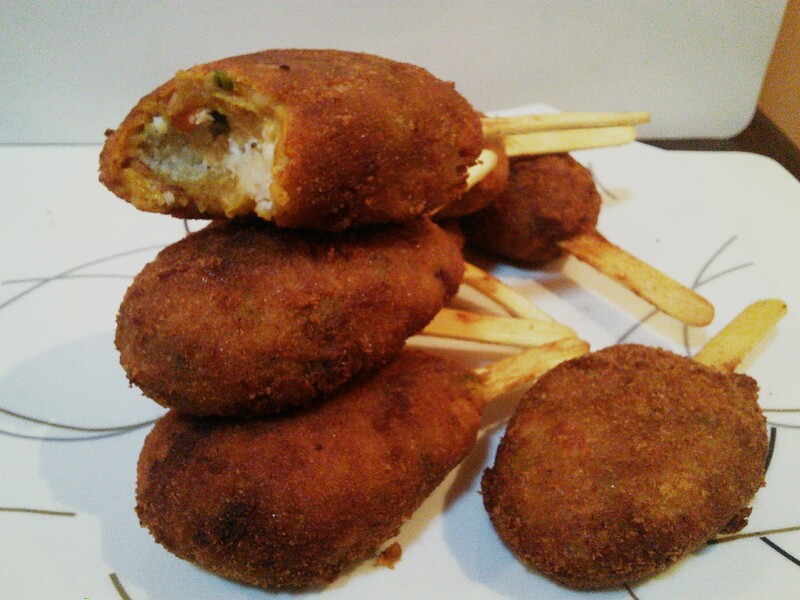 This Friday, as I was planning to make some stuffed vegetable patties for Angie’s Fiesta Friday and also for a neighborhood Iftar party, a vague thought struck me to amuse the kids present there. 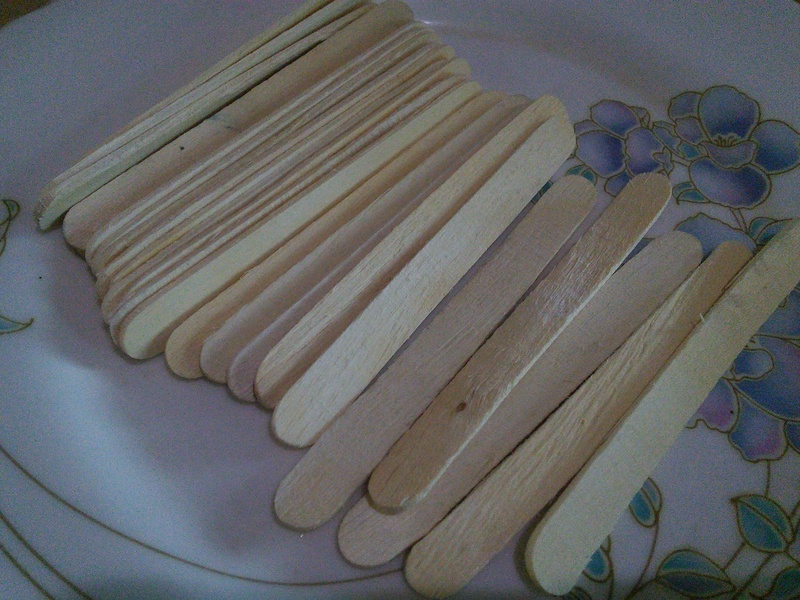 I rushed to buy some ice cream sticks and make my own mini cheat food/ prank food, something like an optical illusion. 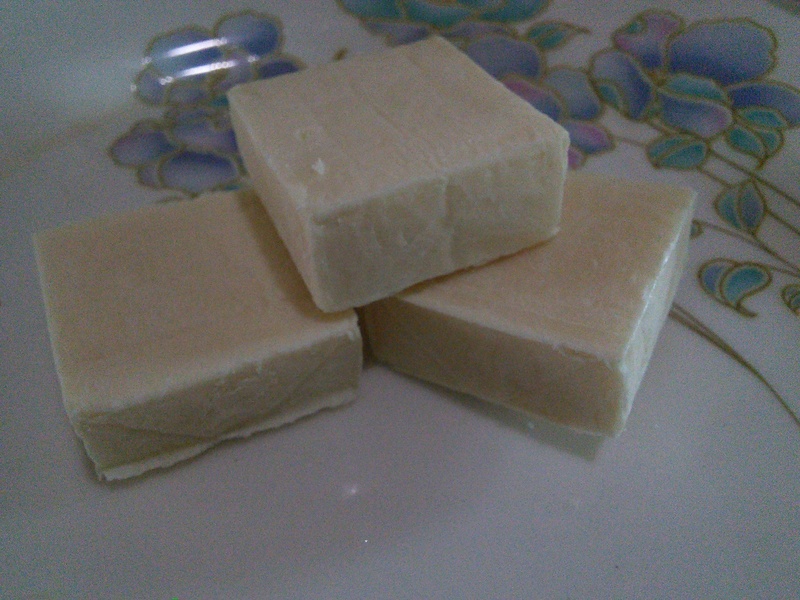 I wanted to make my cream and cheese veggie patties to look like chocolate and vanilla ice cream bars. Looking from far, they did manage to confuse ( I don’t want to use the word cheat ) the kids and their moms. The whole idea was impromptu. If planned well, in future I am sure we could do much better in creating an optical illusion. But for now this is how I made my Chocolate Ice cream bars. 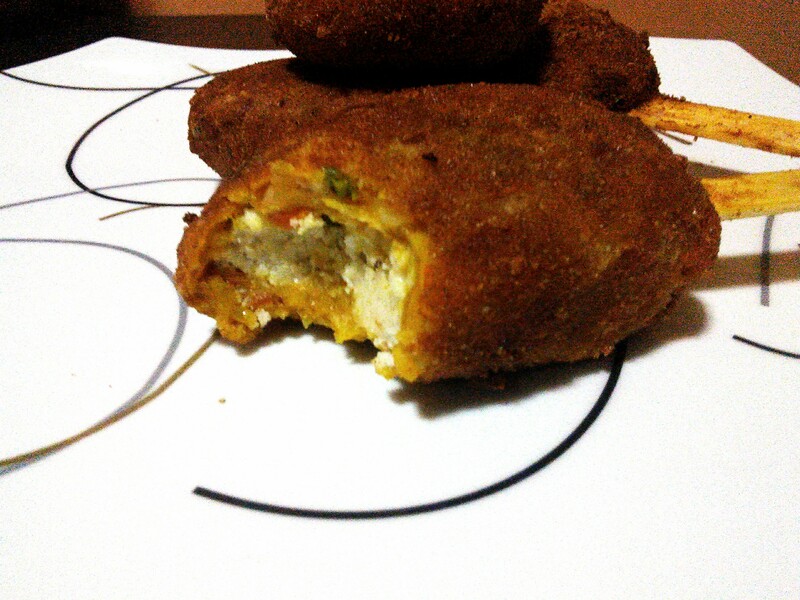 They taste awesome, so do give it a try…..
2 . Next I finely chopped onions, carrots, capsicum and beans. In a pan I put some oil and fried onions till pink and added the veggies and sauteed them till done. And seasoned them with salt, paprika powder, cumin powder and some allspice powder. 3. 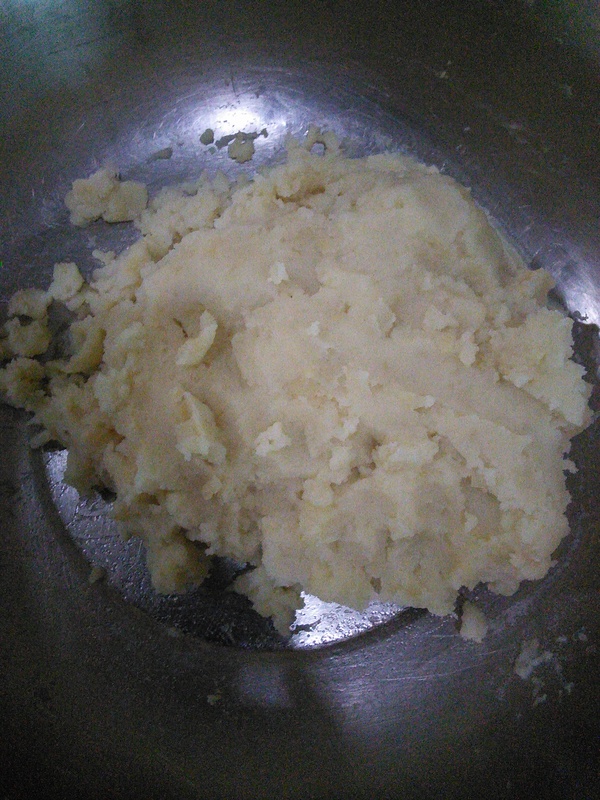 I mixed the mashed potato, veggies and more than half a loaf of bread ( dipped in water and pressed between both the palms to drain). 4. 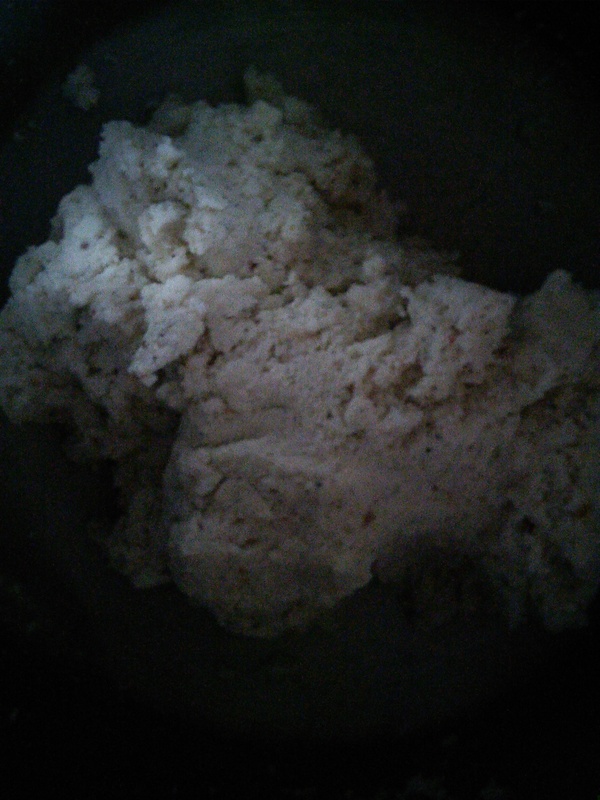 Then I crumbled half a kilo of Cottage cheese , some feta cheese and cream cheese. Use any cheese you like. Seasoned this with salt, white pepper powder and some dried oregano. I once again added more than half a loaf of bread ( dipped in water and pressed between both the palms to drain). 5. 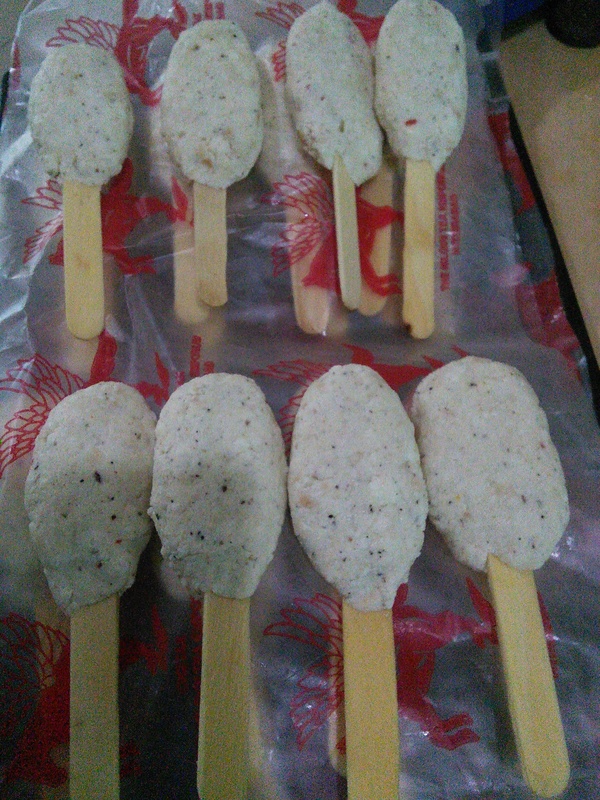 I took some of the cheese mixture and molded it on a pre soaked ice cream stick in the shape of an ice cream bar . 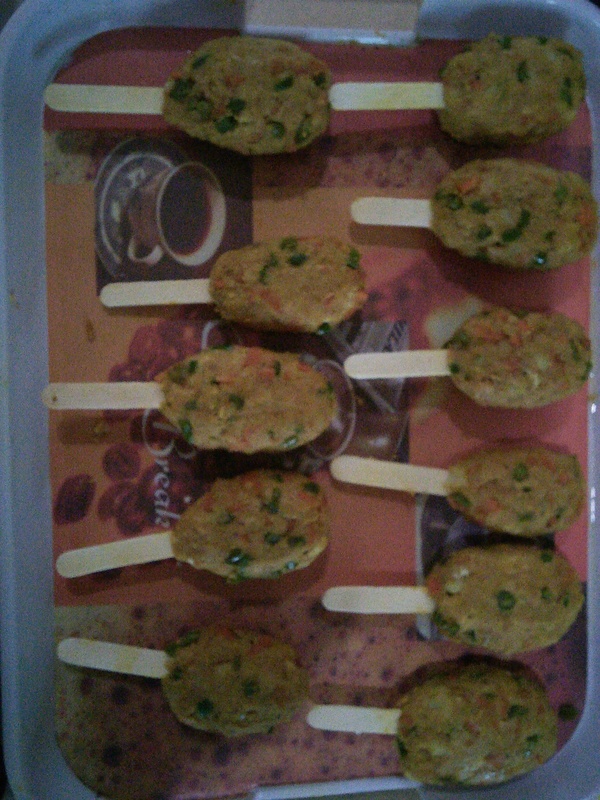 repeated this with all the sticks ( makes 40 ) and kept them in the freezer for half an hour to set. 6. 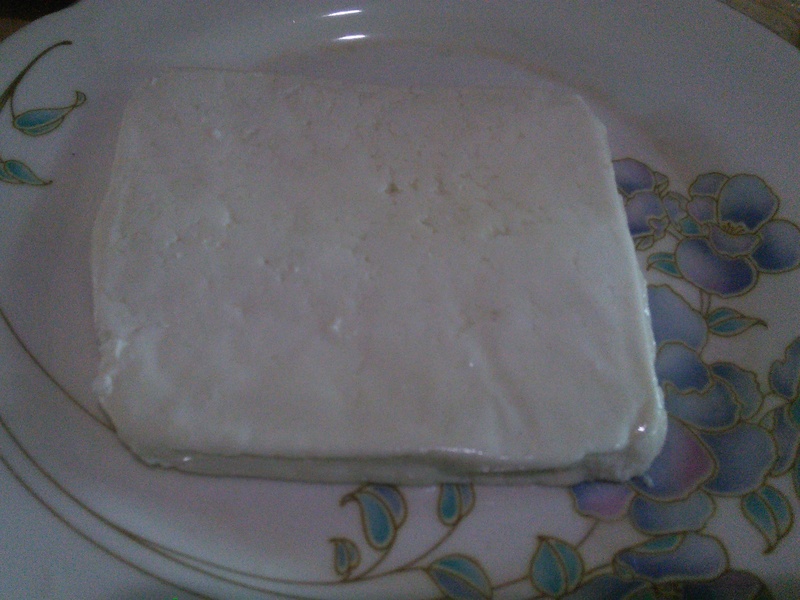 After half an hour, I put the veggie mixture over the cheese layer and molded it in the same fashion. Put this in the freezer for half an hour. Remove. Dust each bar with dry flour. 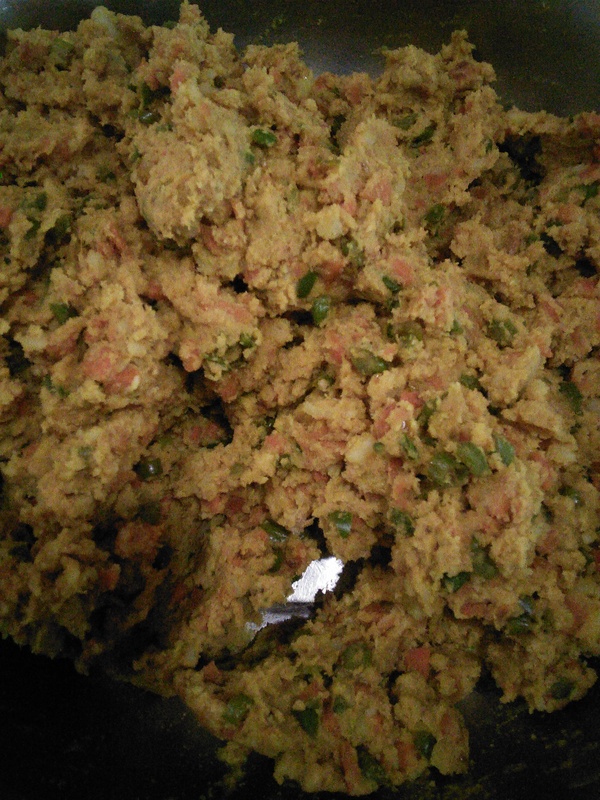 Dip in whisked egg. Roll in bread crumbs. Deep fry. Make sure the sticks are left clean. Since we soak the sticks, they don’t burn while frying. Still, I wrapped them ( the wooden part which sticks out ) in aluminium foil. 7. Serve this yummy prank food at parties and surprise your guests. 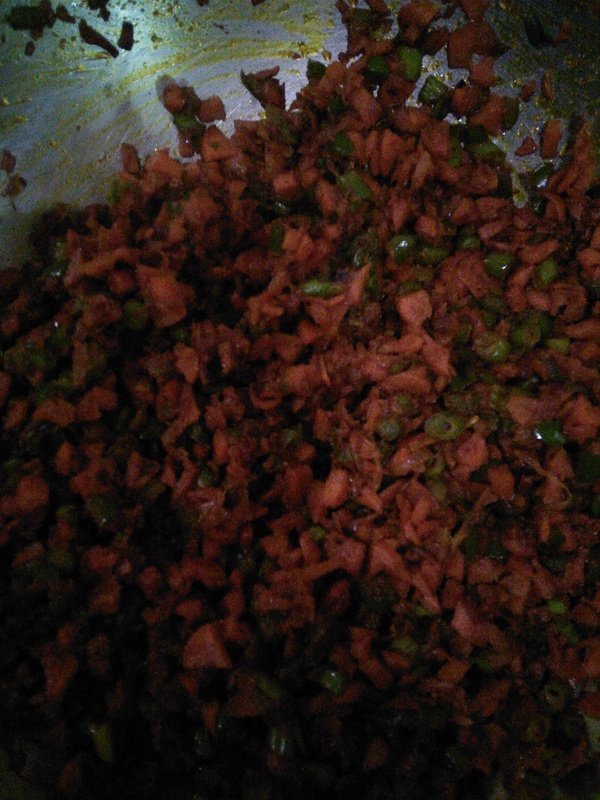 You could make it non vegetarian too by substituting the vegetable layer with mutton or chicken kebab mix. Follow the link for a tasty variation. This weeks Fiesta is being co hosted by Indu @Indu’s International Kitchen, Selma @Selma’s Table, and Hilda @Along The Grapevine. Though a bit late, I am joining the party. Why don’t you come along….. 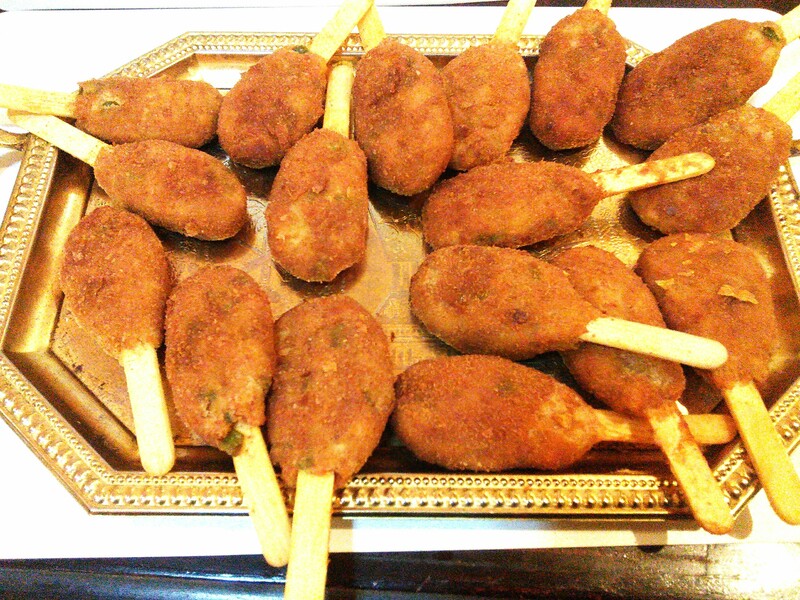 I love fun food and this is really fun, yummy, easy to carry and mingle at a party. Pretty much the perfect party food! Reblogged this on Mumma's Kitchen. As a veggie hater myself, I would totally eat this ! Looks so yummy! Skd, these are fantastic! Wow! And I do mean wow! What a great idea…so creative! And they sound absolutely delicious! Awesome. I thought these were ice-cream mixed with savoury ingredients for a split second, then realised what they were and was impressed. I am so happy you just said that. Thank you 🙂 so much. Glad you were able to make it to Fiesta Friday. As you can see, the party is still going strong. These look fun and delicious and I can see people are enjoying them. Better late than never especially when bearing a tray of these! 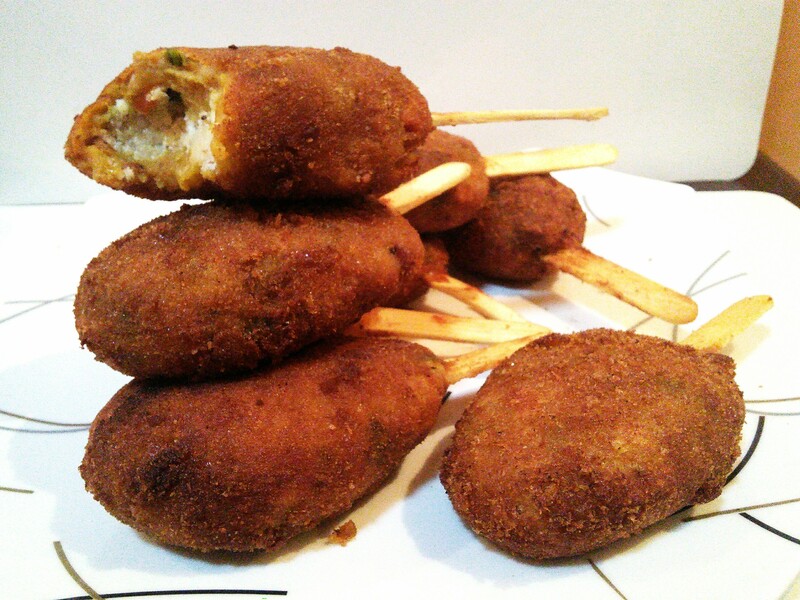 Brilliant and great as a portable food for a party or two! Very clever indeed – great optical illusion. Thanks for sharing and Happy Fiesta Friday! Oh man, I want those in my face. Hello there, I nominated you for the Very Inspiring Blogger Award! Congrats!!! i am going to try these, yummy! 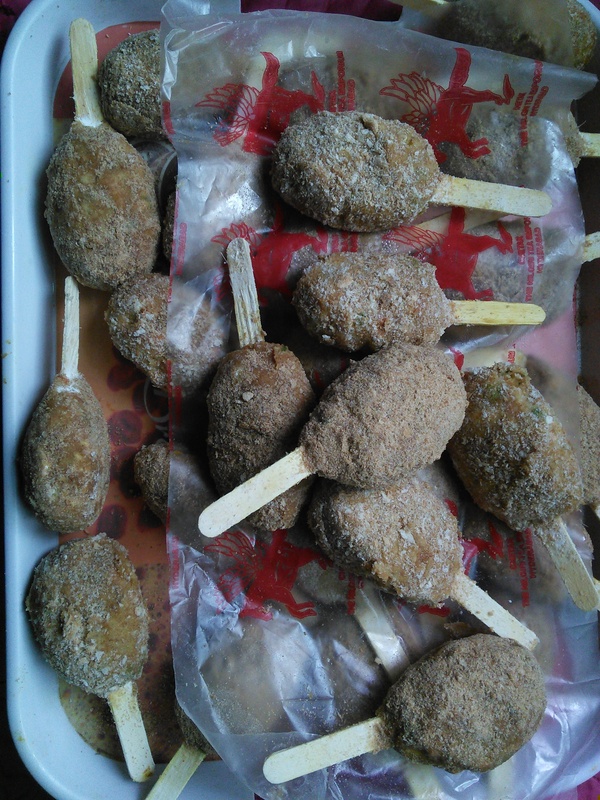 we make veg rolls but ice cream stick idea is awesome. thank you. Thank you so much dear for your lovely comment and all the likes. You really made my day 💕 Please do keep visiting. You bring in a lot of sunshine and cheer (joie de vivre to be precise)with you which rubs off on my blog.